Salary slip: You need to be a salaried employee in an organization. You will need to submit the salary slips of your current employer. You have to submit your income proof i.e. : 3 to 6 months of salary slips to apply for personal loan app. Your company should be a registered one. Pan card: You will need to submit your pan card to avail an easy loan and it is one of the must-haves. Address proof: You are required to submit your address proof documents for applying for personal loans. Documents like license agreement or utility bill (bills like electricity, Gas, telephone & maintenance) for the past 3 months or passport or Ration card should be good enough. Money loans are in demand due to the need for instant cash among young professionals. Individuals apply for a personal loan for medical emergencies, wedding expenses, traveling expenses, EMIs, pending dues or for buying any goods. The application process of an easy loan is quite simple and short compared to the old-fashioned bank loans. There is less paperwork involved as you don’t have to verify any asset for these unsecured loans. There is an online money loan app which provides a smooth and safe transaction for the same. Below is the step by step process to apply for an easy loan online. These steps will guide you throughout the application. Download the loan app on your smartphone via Google play store or Apple app store. Register yourself on the app by adding your basic personal information. Once you complete your profile move towards adding the loan details. You can take a money loan ranging from ₹10,000 to ₹1 to 2 lakhs from the app. The duration available for such loans is mostly 15, 30 or 90 days. 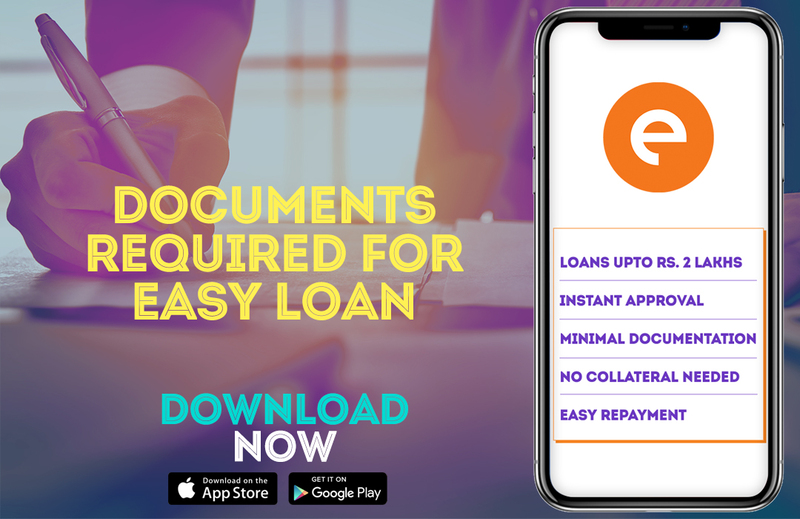 After entering your details upload the required documents on the easy loan app itself. Submit your loan request, the app will then take some time to review it. Once your loan is approved, the loan amount will be transferred to your personal savings account.